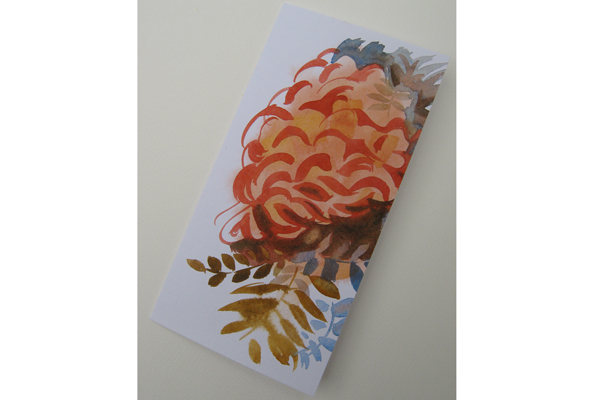 Handmade threefold watercolour card. Painted on "eco friendly" recycled watercolour paper. Third strap in the middle (width 48mm) can be used as a stand. Size Folded : 103 mm x 202 mm.